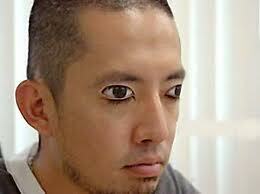 So I was online doing some work and of course my searching bought me to random eyelid tats. I can see it now…I roll over after a night of drinking to see this. Not that I would ever be that inebriated, but still…just imagine rolling over and seeing that. His freaking eyes are closed. Come on. I could only imagine the level of courage and trust these rare people had to have while receiving their new ink. I say they have courage only because they all decided to pay someone (hopefully…) to take a needle and draw on their eyelids. Their EYELIDS…with a needle….uhh. The level of trust that was handed over to the tattoo artist is incomprehensible, I am going to have to opt out of this adventure…Ha, I’d rather lick a porcupine!